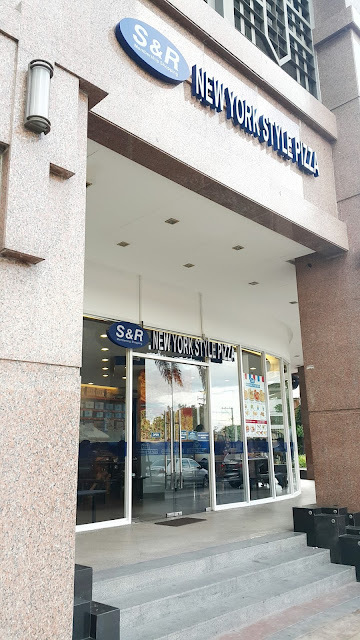 S&R in Eastwood must mean "Slow & Regrettable"
My first taste of S&R's pizza, courtesy of my friend Jam, was of the garlic and shrimp variant, still delectable despite having spent a couple of hours in her car. 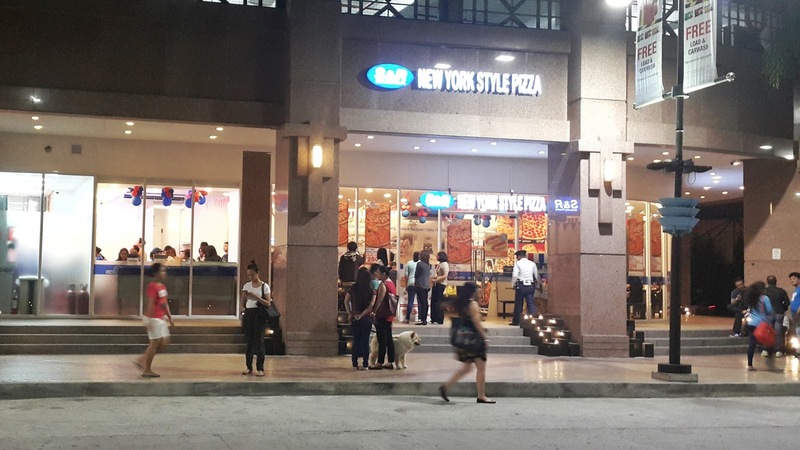 That was about a year ago when the closest someone in Eastwood City could get to having a bite of the New York-style pizza was a drive to S&R's Shaw warehouse or their stand-alone joint in Puregold Cubao. But not anymore, thanks to the branch they opened in February at the ground level of Le Grand Tower 2. I've only visited the newly-opened restaurant twice. 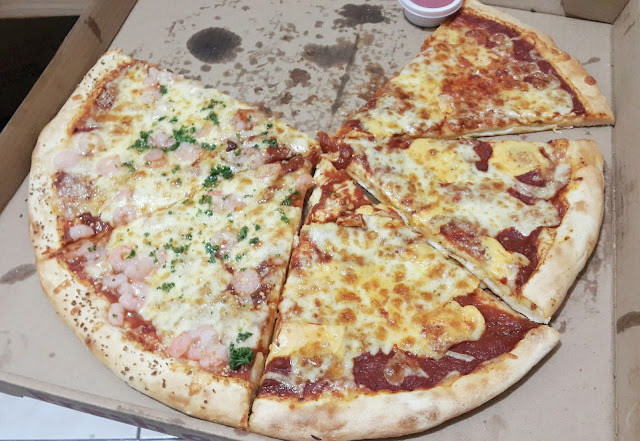 The first time was one weeknight in March when Claire treated Cams and me (nakantsyawan) to an entire 18-inch pizza of mixed flavors. Not surprisingly, the lines in front of their counters were long. Probably terrified that the indecisive girls in front of us might become double homicide victims in my hands, Claire suggested that Cams and I go ahead to Cams' place while she queued. We added some churros to our order, because I figured if we were going to wait long for our pizza, then we might as well have dessert too. We left Claire still in line at around 7:45 PM. We got to eat our pizzas and churros, thankfully still hot, at 10. "They just opened!" you might say. "Give them a break!" We knew we couldn't hope to get a table that night, but we had hoped to at least be able to order in less than 30 minutes. The lines being long was excusable. The excruciatingly slow service was not. Sure, we have what we call a learning curve, but I was patient with them until I noticed that the crew member going around taking orders was not relaying our choices to the kitchen staff. She may have saved a few seconds of our time in front of the register, but customers were waiting longer to claim their pizzas and she could have greatly helped with that by getting our orders across in advance. I had left this blog entry sitting silently in my drafts since. Until last Saturday, that is, when after many nights of passing by the restaurant post-workout I finally gave in to my pizza craving. It was noon and my date and I were getting two boxes of pizza for our Jurassic Park movie marathon at home (in preparation for Jurassic World). It should have been easy enough. The lines were short and two crew members were assisting the one dude in front of us at order counter 1. Three customers later at counter 2, however, and we were still waiting, because Marielle and the other girl behind counter 1 essentially made us wait with the dude before us to get his pizzas when they could have asked him to do that at the claim counter. Then came our turn and it was one of those rare instances I thought I couldn't have possibly become peeved when the cashier interrupts me with a question mid-order. Ours was short and simple. "Two boxes. One garlic and shrimp. One pepperoni," I told Marielle. But she and her assistant only got one thing right from what I said. "Two." They thought I was ordering two pizza slices, not boxes, and the flavor she apparently heard was "combo." Peeved I still became. We got our pizzas ten minutes after their promise of only a twenty-minute wait, without a raffia ribbon tied around the boxes to carry them easily. Lugging them awkwardly, we hailed a cab, hurried home and wolfed a few slices even before we could play Jurassic Park on my laptop. I might have just been famished, because their pizza seemed to taste good only for the first dozen square-cut slices. Or maybe it was umay—there were only two of us, after all, sharing two 18-inch pizzas for all our meals within a span of twenty-four hours. I remember enjoying our pizza and churros from that night in March, though, so maybe it was psychological, the quality of service rendered by the restaurant influencing my perception of the taste. 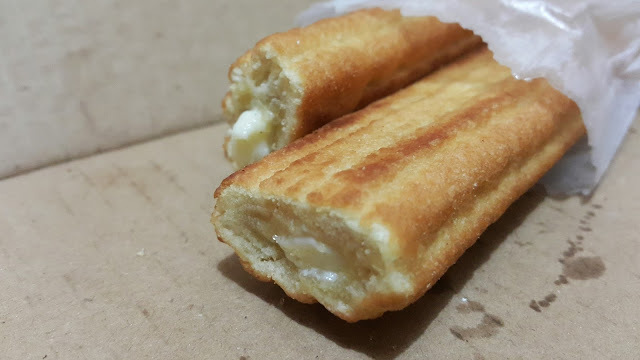 Bavarian churros. Can't decide if they're better than the cinnamon ones, because both flavors are good. 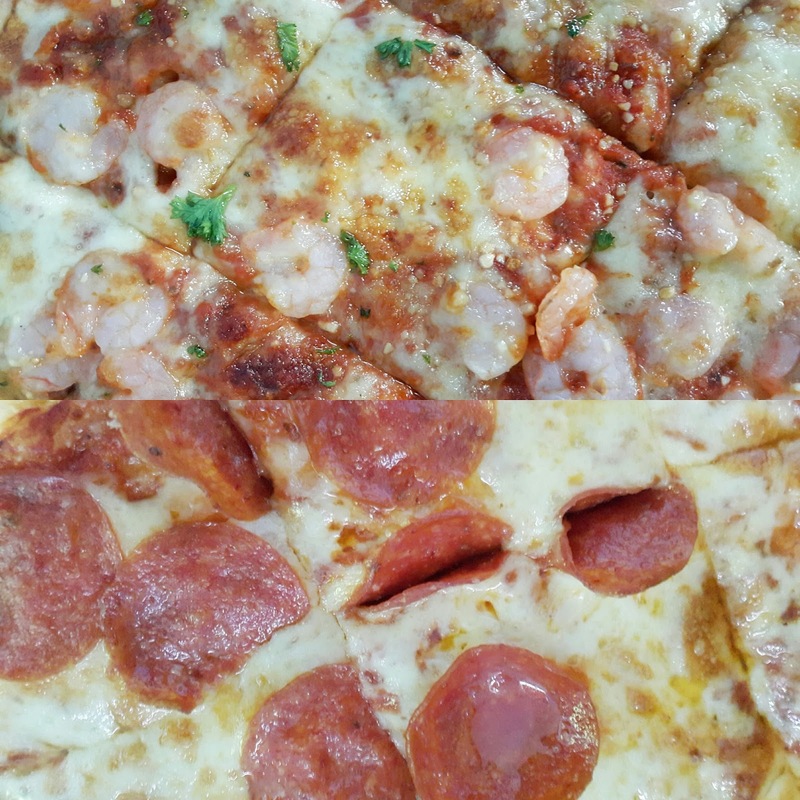 I've heard of better service at other S&R restos like in Puregold Cubao, but if you can, just go to their actual warehouses to enjoy their pizza (though of course you'd have to be a card-carrying member or bring along someone who is). You can even buy their roast chicken, which I've heard is delicious too. I'm looking forward to trying that soon along with their clam chowder and burger. But not at their Eastwood joint anymore.